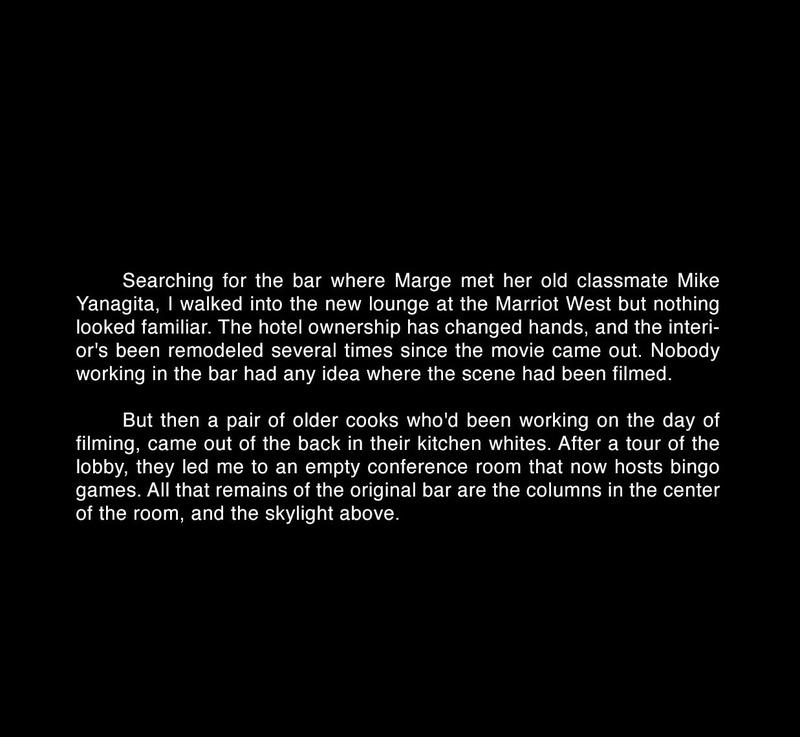 Searching for the bar where Marge met her old classmate Mike Yanagita, I walked into the new lounge at the Marriot West but nothing looked familiar. The hotel ownership has changed hands, and the interior's been remodeled several times since the movie came out. Nobody working in the bar had any idea where the scene had been filmed. But then a pair of older cooks who'd been working on the day of filming, came out of the back in their kitchen whites. After a tour of the lobby, they led me to an empty conference room that now hosts bingo games. All that remains of the original bar are the columns in the center of the room, and the skylight above.